1. First Aid Meeting at Beall High School, Frostburg, Md. 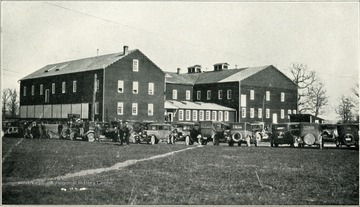 First Aid Meeting at Beall High School, Frostburg, Md. 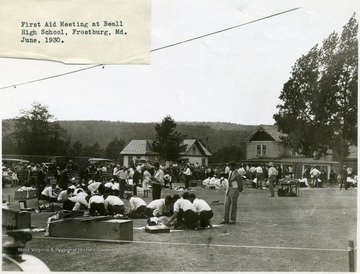 Men practicing first aid techniques at Beall High School in Frostburg. 2. 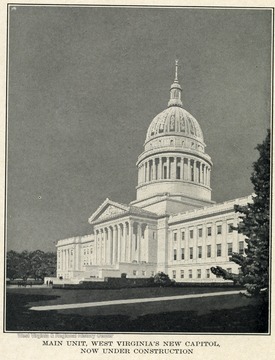 Artist's Drawing of the West Virginia'State Capitol, Charleston, W. Va. Artist's Drawing of the West Virginia'State Capitol, Charleston, W. Va. Drawing of capitol building under construction in Charleston. 3. 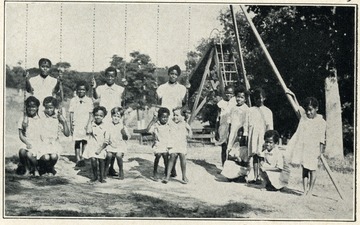 Children, West Virginia Colored Orphan's Home, Huntington, W. Va.
Children, West Virginia Colored Orphan's Home, Huntington, W. Va.
Children of the West Virginia Colored Orphan's Home in Huntington, West Virginia are playing on a swingset. 4. Main Building, West Virginia Colored Orphan's Home, Huntington, W. Va.
Main Building, West Virginia Colored Orphan's Home, Huntington, W. Va. 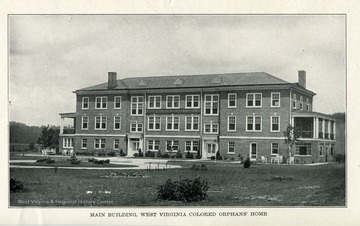 The front of the Main Building, West Virginia Colored Orphan's Home, Huntington, West Virginia. 5. 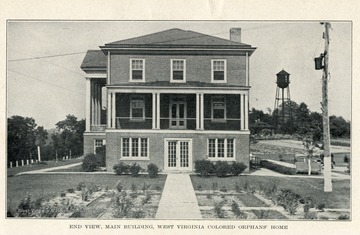 End View, Main Building, West Virginia Colored Orphan's Home, Huntington, W. Va.
End View, Main Building, West Virginia Colored Orphan's Home, Huntington, W. Va.
6. McKendree Emergency Hospital, Fayette County, W. Va.
McKendree Emergency Hospital, Fayette County, W. Va.
View of the main building of McKendree Emergency Hospital. 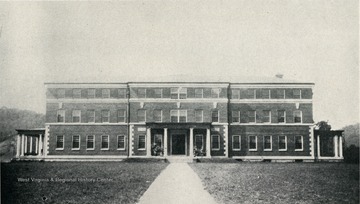 McKendree Hospital No. 2 'Number of patients treated during June, 1930 was 247.' 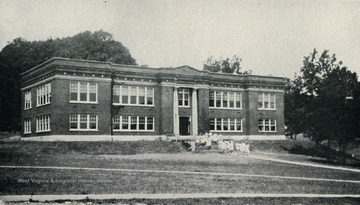 The superintendent was M. V. Godbey, M. D. This institution is located at McKendree, Fayette County, and is reached by the Chesapeake and Ohio Railroad. 7. 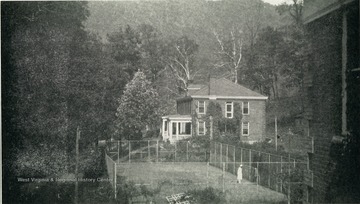 Nurses' Home at McKendree Emergency Hospital, Fayette County, W. Va.
Nurses' Home at McKendree Emergency Hospital, Fayette County, W. Va.
8. Apple Packing Plant and School, Inwood, Berkeley County, W. Va.
Apple Packing Plant and School, Inwood, Berkeley County, W. Va.
Cars and people outside of an apple packing plant and school. 9. 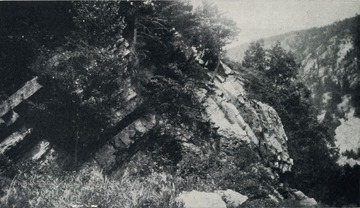 Caudy's Castle, Hampshire County, W. Va.
Caudy's Castle, Hampshire County, W. Va.
View of Caudy's Castle in Hampshire County, West Virginia Geological Survey. 10. 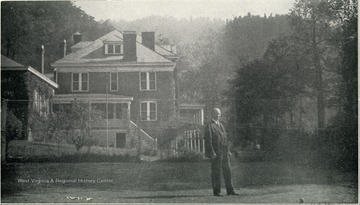 Sutton Cottage, West Virginia Industrial Home for Girls, Salem, Harrison County, W. Va.
Sutton Cottage, West Virginia Industrial Home for Girls, Salem, Harrison County, W. Va.
A view of Sutton Cottage at the West Virginia Industrial Home for Girls. 11. 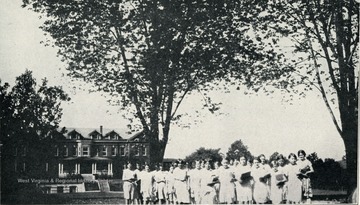 Silver Hall, West Virginia Industrial Home for Girls, Salem, Harrison County, W. Va.
A group portrait of some girls in front of Silver Hall. 12. School Building, West Virginia Industrial Home for Girls, Salem, Harrison County, W. Va.
School Building, West Virginia Industrial Home for Girls, Salem, Harrison County, W. Va.
A view of the school building at the West Virginia Industrial Home for Girls.